Could this senseless Jacksonville apartment shooting have been prevented? 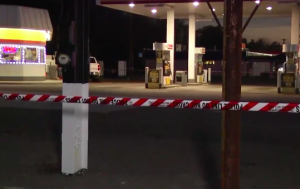 Security measures are in question after a Jacksonville apartment shooting left a minor hospitalized Saturday night, May 19, 2018. According to CBS 47, gunfire erupted “at the Hilltop Apartments,” shortly after 10:00 p.m. A young victim was transported to “UF Health Jacksonville with non-life-threatening injuries.” His current condition has not been released. 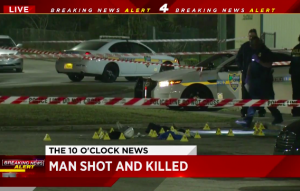 The complex has an apparent history of violent crime, including prior shooting investigations in September 2017, January 2016, April 2015, September 2014 and November 2007, per media reports. Did negligent security contribute to this Jacksonville apartment shooting? We represent individuals and families who have suffered a tragic loss or injury as a consequence of negligent property security. Read Our Legal Take below to find out if the victim may have a legal avenue for justice and claims for substantial compensation in Florida, or call now for a free consultation with our legal team: 888.842.1616. What additional security measures, such as gated-entry, bright lighting, surveillance cameras, and security patrols, were implemented to protect residents and deter crime following media reports of prior violence on property? Generally, property owners are required to protect all those legally on the premises from any foreseeable harm. Should the facts of this matter reveal that the apartment complex owner or management failed to provide adequate security to protect those on its premises, the young victim and his family may seek justice and elect to pursue legal claims for his injuries. Did a safety code violation contribute to this tragic loss? Apartment safety measures are under scrutiny following the tragic drowning of 5-year-old Ismaine Ahamat Assil at The Preserve at St. Nicholas swimming pool Thursday afternoon, March 1, 2018. Did a security failure contribute to this Jacksonville apartment drowning? We represent individuals and families who have suffered a tragic loss or injury as a consequence of negligent property security. Read Our Legal Take below to find out if the victim’s family may have a legal avenue for justice and claims for substantial compensation in Florida, or call now for a free consultation with our legal team: 888.842.1616. Apartment residents and guests have a right to feel safe and secure while on the premises. The Murray Law Firm questions the level of safety provided on the property and whether this tragedy may have been prevented. What steps were taken by the apartment complex owner to either improve swimming pool safety measures or empty and close the pool entirely, following media reports of alleged pool safety violations in 2016? 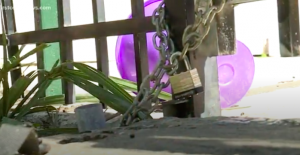 Have there been prior incidents of children gaining entry the closed pool and, if so, what additional security measures were taken by the apartment complex owner and management to protect these young residents? How did any such precautions fail? Generally, property owners are required to protect all those legally on the premises from any foreseeable harm. Should the facts of this matter reveal that the apartment complex owner and management failed to provide adequate security to protect those on its premises, the family of Ismaine Ahamat Assil may seek justice and elect to pursue legal claims for his wrongful death. Additionally, the second young victim of this tragic incident may pursue legal claims for her injuries. Gunfire erupted outside the Eastside Villas apartments Friday night, February 9, 2018, claiming the life of a Jacksonville man. According to CBS 47, the shooting occurred at the “Eastside Villas” apartment complex “at 1212 1st Street.” Responding officers apparently discovered a male victim carrying groceries and dressed in work clothes at the scene. He was transported to UF Health Jacksonville, where he tragically succumbed to fatal injuries. “It scares me because this is going on day to day. I’m hearing too many gunshots,” a neighbor told News 4 JAX. Did negligent security contribute to this senseless loss of life? We represent individuals and families who have suffered a tragic loss or injury as a consequence of negligent property security. Read Our Legal Take below to find out if the victim’s family may have a legal avenue for justice and claims for substantial compensation in Florida, or call now for a free consultation with our legal team: 888.842.1616. Generally, property owners are required to protect all those legally on the premises from any foreseeable harm. Should the facts of this matter reveal that the apartment complex owner and management failed to provide adequate security to protect those on its premises, the victim’s family may seek justice and elect to pursue legal claims for his wrongful death. 2 Killed in Magnolia Terrace Apartment Shooting, Jacksonville. Fatal Security Lapse? Gunfire erupted outside the Magnolia Terrace apartment complex Thursday morning, February 8, 2018, reportedly claiming the lives of two men. 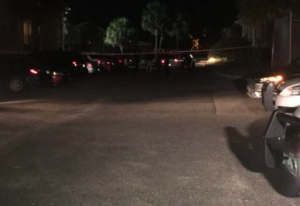 According to First Coast News, “the shooting happened at around 4:45 a.m. on 2000 Jammes Rd in the parking lot of Magnolia Terrace Apartments.” Neighbors told News 4 JAX they heard “a burst” of 20-30 gunshots. Responding officers discovered two male victims at the scene. Tragically, both succumbed to fatal injuries. The complex was apparently the subject of a prior shooting investigation in September 2016, per Florida Times Union reports. Did negligent security contribute to this senseless loss of life? We represent individuals and families who have suffered a tragic loss or injury as a consequence of negligent property security. 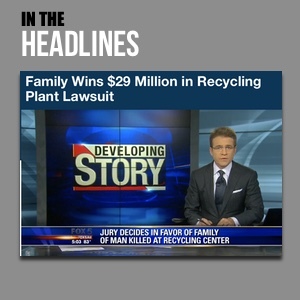 Read Our Legal Take below to find out if the victims’ families may have a legal avenue for justice and claims for substantial compensation in Florida, or call now for a free consultation with our legal team: 888.842.1616. Generally, property owners are required to protect all those legally on the premises from any foreseeable harm. Should the facts of this matter reveal that the apartment complex owner and management failed to provide adequate security to protect those on its premises, the victims’ families may seek justice and elect to pursue legal claims for their wrongful deaths. 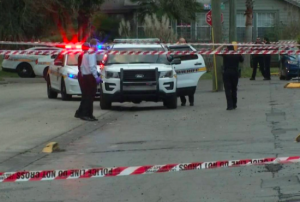 Man Robbed, Shot Near Riverview Apartments, Jacksonville. Security Failure? Did negligent security contribute to this Jacksonville apartment shooting? A violent robbery outside the Riverview apartment complex in Jacksonville reportedly left a man hospitalized Saturday night, January 27, 2018. 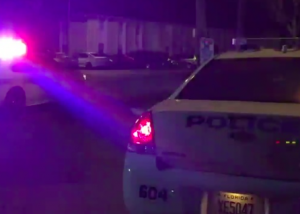 According to News 4 JAX, gunfire erupted “behind the Riverview Apartments” at “301 Caravan Circle just before 9 p.m.” A male victim was apparently shot in the back during the course of a robbery, per Action News JAX. He was transported to Memorial Hospital with injuries. His current condition has not been released. Have there been prior incidents of violence on or near property? What security measures, such as gated-entry, surveillance cameras, bright lighting, and security patrols, were in place to protect residents and deter crime at the time of the shooting? Generally, property owners are required to protect all those legally on the premises from any foreseeable harm. Should the facts of this matter reveal that the apartment complex owner and management company failed to provide adequate security to protect those on its premises, the victim may seek justice and elect to pursue legal claims for his injuries.